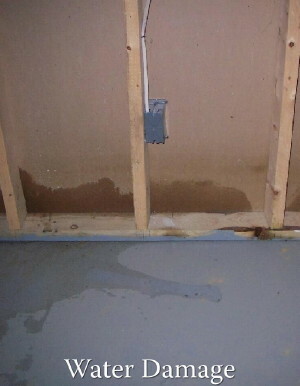 Water damage to a house can occur in many ways. Even the most solidly built and well-maintained home can be damaged by a violent force of nature, such as a flood, hurricane, tornado, or wildfire. In other situations, a water pipe may burst, or a sump pump may malfunction while you’re away on vacation and do serious water damage to your home and possessions. So there’s no way to predict exactly how a water-related emergency might occur. We can help! Let us put you back to normal as fast as possible and with the least disruption in your life. We'll extract dirt and water, sanitize the place, and treat carpet odor and mildew damage. We provide immediate service and our specialized crew is available 24 hours a day, 7 days a week.